In Seagrove Village, former Shadow Watcher, Tim, receives a stunning text from his ex-fiancé, Mandy, on their secure phone. She's in trouble and needs help. Against objections--she'd broken their engagement to marry another man--Tim responds, and discovers NINA, Nihilists in Anarchy, an international terrorist group the Shadow Watchers have faced before, is after the team again. This time, through Mandy. The breakup had devastated Tim, but what he discovers now forces him to work with Mandy to reveal yet another layer of operatives in the NINA organization. 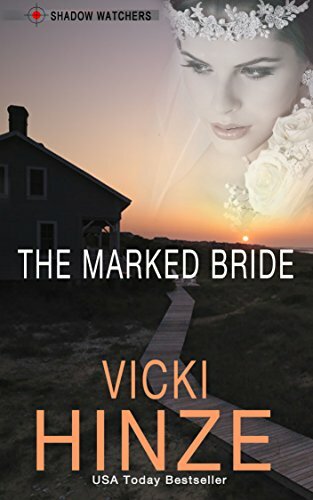 A layer that, for Mandy, strikes close to home and makes her The Marked Bride. Few are who they seem. Facts are mercurial. 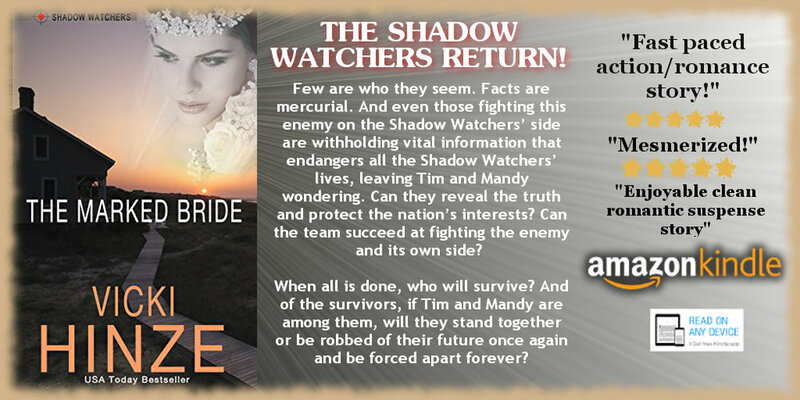 And even those fighting this enemy on the Shadow Watchers' side are withholding vital information that endangers all the Shadow Watchers' lives, leaving Tim and Mandy wondering. Can they reveal the truth and protect the nation's interests? Can the team succeed at fighting the enemy and its own side? When all is done, who will survive? And of the survivors, if Tim and Mandy are among them, will they stand together or be robbed of their future once again and be forced apart forever?